​The original macho man of bollywood, His life mirrors the script of a Bollywood potboiler. From drug addiction to doing action films, from Khalnayak to Munnabhai, from superstardom to jail, he has been through it all. The original macho man of bollywood, Sanjay Dutt, fondly called Sanju Baba, defines sheer machismo, fierce looks and has been loved utterly even in anti-hero roles. The ever-young and ever- energetic superstar has had a career of over 50 years as an actor. Sanjay dutt has potrayed all kind of roles projecting all shades of cinema – from laughing comedies to the typical bollywood dramas, family sagas and artistic movies. His zeal for the characters he portrays, never ending energy and inspirational zest for life makes him stand out. 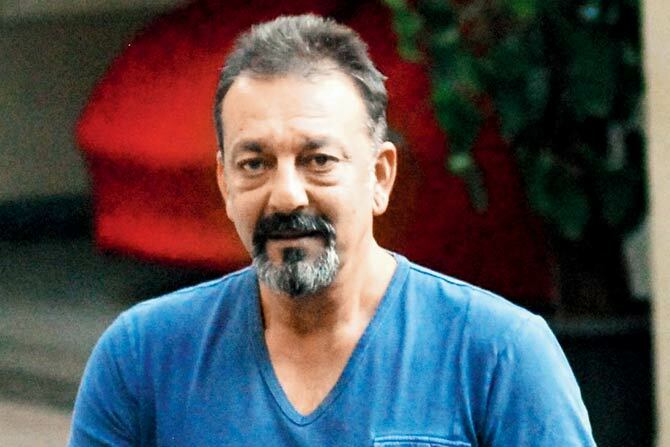 ​Sanjay Dutt’s most powerful trait is his larger than life persona. His presence on screen and off it is one that inspires affection and warmth. This is a trait many film-makers have exploited to create history on the silver screen. Be it a Raghu, a Munna Bhai, a Ballu, a Vicky, a Dharam Kapoor, a Kancha Cheena, there is hardly a character type which we haven’t seen Sanjay portray on screen with utter conviction. If this isn’t enough, Sanjay is also a great motivational speaker. The kind of troughs and crests he has faced in his life, makes him a unique example of how one should face adversities and come out of it as a winner. Basically the destiny’s child is one-stop-shop when it comes to the world of entertainment and with his relatable qualities and the love of his fans, Sanjay has carved a niche for himself with the masses.